Any person under the age of 12 and accompanied by a PCNSW Member. Another fabulous PCNSW Drive. Starting from the carparks on the corner of Princes Hwy and Wilson Pde (opposite intersection to Heathcote Rd) Heathcote. Meeting at 9am for a 9.30am getaway, we proceed south through the National Park past Stanwell Tops ( but not stopping just for a change) and continuing down along the coast road of the south coast, then up the Illawarra Hwy and the very driveable Macquarie Pass to Robertson in the Southern Highlands. 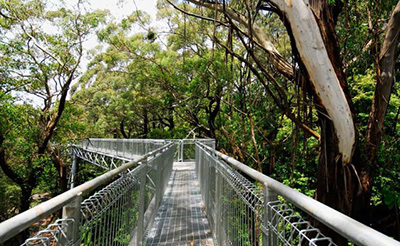 Here we will stop for about 1 hour and you will have the choice of either enjoying a pie and coffee at the famous Robertson Pie Shop, or for the more adventurous a quick tour of the relatively new Illwarra Fly Tree Top Walk: www.illawarrafly.com where you can also enjoy a morning snack. Prices are $24 for big kids and $10 for little kids, and for this you can have a climb and enjoy some spectacular views. However, we will only spend an hour there. From here we proceed down the coastal range through Jambaroo and back onto the Southern Fwy, and onto Mt Ousley Rd to Bulli Tops, for a delicious lunch at the nicely secluded Cliff Hanger Restaurant. Here you will enjoy some of the most spectacular views of Wollongong and South Coast. Registration for this drive is $50 for adults and children over 12 years old. This will provide you with a two course lunch at Cliff Hanger. Children under 12 also need to be registered but at no cost, however parents will have to order and pay for the children’s lunches separately on the day. All other costs will be up to individuals on the day. Come enjoy a fabulous and interesting 170km drive in your Porsche. Book early as places are limited to about 60.